It’s that time again – time for the seasonal ice rink to open at Barton Creek Resort & Spa, with proceeds to benefit Make-A-Wish® Central & South Texas.Austin’s Barton Creek Resort & Spa pays an icey homage to the holidays with over 200,000 twinkling lights and the opening of its 4,100 square foot ice rink as part of the festivities. 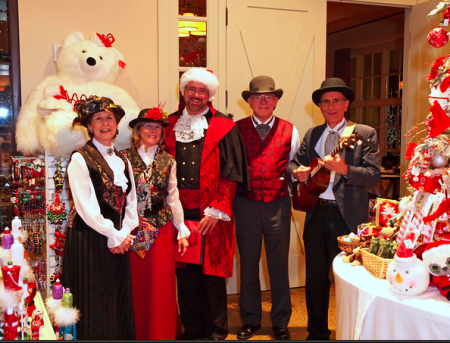 “With our largest ice rink ever, new holiday activities in Frosty’s Family Fun Room and festive cheer throughout the resort, we hope to bring joy to kids and to those who are still kids at heart,” said Barton Creek Resort & Spa General Manager James Walsh. What’s so cool is that every year, thousands of children submit their wishes to Make-A-Wish Central & South Texas (www.cstx.wish.org), a non-profit organization dedicated to granting the wishes of children with life-threatening medical conditions. With the help of Barton Creek Resort and event-goers this year, the non-profit will grant wishes to such deserving children. “We are grateful for the warmth, compassion and support of Barton Creek Resort and those who give back through Holiday Lights & Ice,” Glenn West, President & CEO at Make-A-Wish Central & South Texas. Guests can enjoy the skating rink with all-day skating passes, which start at $25 for children and $35 for adults. Individual skate sessions are also available starting at $17 for children and $23 for adults. 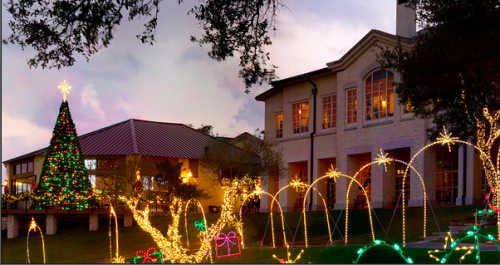 Twinkling holiday lights and skating are just part of the many festivities taking place at Barton Creek Resort. Guests can book the new “Winter Wishes” package with rates from $99 per person, per night and receive special tidings. Families will also have complimentary access to Frosty’s Family Fun Room, open daily in December from 8 a.m. to 10 p.m. with special activities available Friday through Sunday from noon to 6 p.m. Frosty’s Family Fun Room activity and games include Christmas cookie decorating, “Dress your Snowman,” Snowflake Making, Holiday Face Painting, Pin the Nose on Frosty, Frosty Snowball Toss, and Snowflake Balloon Catch.